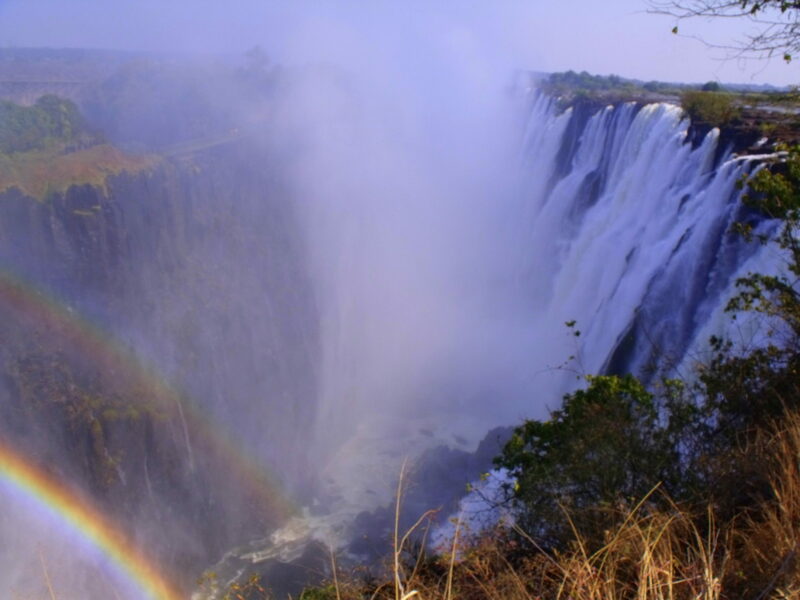 When David Livingstone first set eyes upon the Victoria Falls in 1855 he wrote in his journal “Scenes so lovely must have been gazed upon by angels in their flight..”, and named the Falls in honour of his queen. The local Leya people call them “Mosi oa Tunya”- Smoke That Thunders. On this thrilling 7-day tour you will see some of the great highlights of Africa, and also have plenty of time to relax and enjoy just ‘being there’. We fly to Livingstone in Zambia, where we are based at a comfortable hotel, central to a host of local attractions. 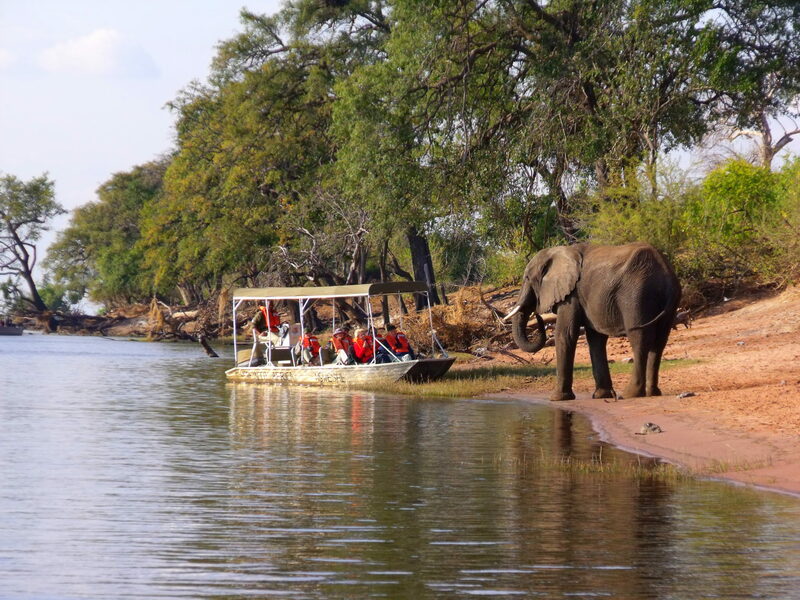 Activities are many and varied and we’ll enjoy sights of the famous Victoria Falls from the Zambian side, and with a visit to the Zimbabwe side for those who wish. We’ll visit Livingstone town with its lively markets, memorabilia of David Livingstone, and faded remnants of the colonial era, and travel out into the Zambian countryside to the small town of Mukuni, to enjoy some local colour and learn more about the rural lifstyle in Africa. 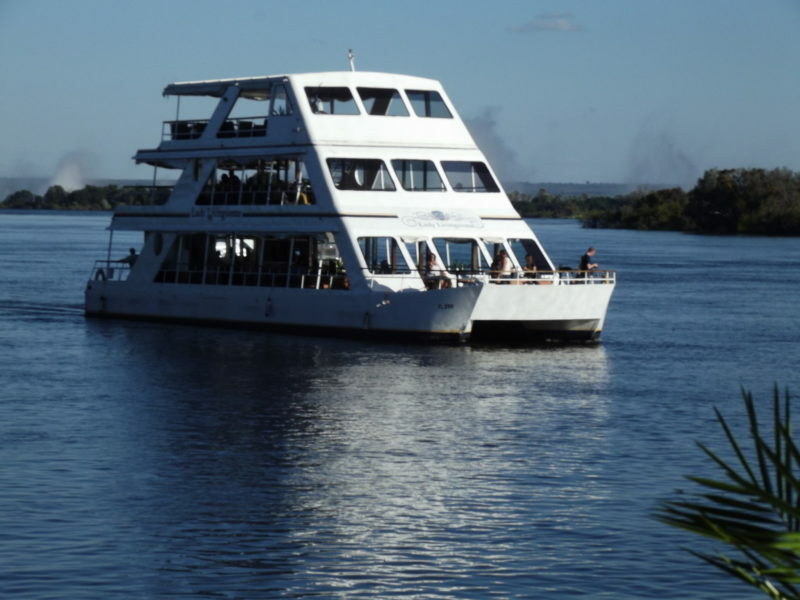 One evening we’ll take a cruise on the Zambezi, with dinner on board. You can choose optional extras such as riding an elephant, helicopter or microlight flights over the Victoria Falls, or even bungee jumping! We leave Livingstone to drive some 70 kms west along the Zambezi to the Kazungula ferry, near the famous spot where 4 countries meet. Here we cross the river – not on the ferry itself but in small motor boats – and enter Botswana. We stay at a beautiful lodge near the Chobe River. In fact, just spending time at the lodge is a delight in itself – sitting and watching the river and the animals and birds that make their home here. During our stay we take game drives by 4×4 vehicle in the world-famous Chobe Game Reserve, and ‘game cruises’ on the Chobe River, viewing from the boat the herds of elephant and other wildlife that abound. After a relaxing few days we return to Livingstone for our flight home. As usual Landscape Tours will facilitate your travel arrangements so you can relax and enjoy this venture into Wild Africa! 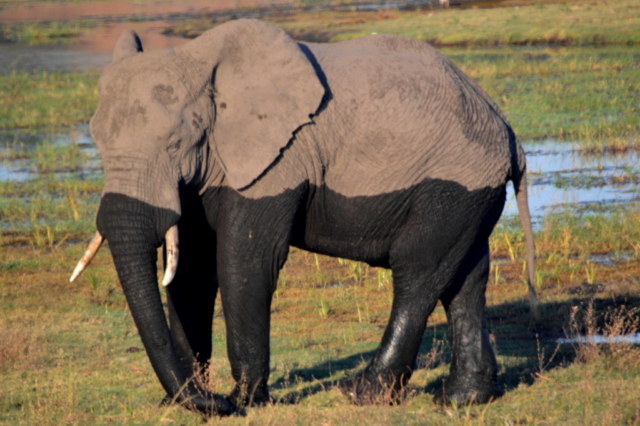 View our comprehensive Victoria Falls and Chobe itinerary here. How active? Suitable for everyone (subject to the minimum physical requirements in our tour conditions). On the tour you can be more active or less active as you prefer. Everyone can enjoy the full itinerary, and there are numerous places on the tour where the more active can see and do more – for example when we stop at beauty spots and points of interest, at meal and tea stops, and in free time. This is a Malaria risk area and prophylactics is recommended.